Rhiannon heads our Life Sciences team and is a Chartered UK and European patent attorney. She has been in the profession since 2002, training at another private practice firm before moving to our firm, where she has been a partner since 2010. Rhiannon has a degree in Natural Sciences from Cambridge University, which provided a broad foundation in a range of sciences including cellular biology, chemistry and physics, as well as history and philosophy of science, before focussing in her final year on biochemistry. Rhiannon also completed a PhD at Cambridge, studying the impact on enzyme activity of a genetic mutation associated with high blood pressure, which gave her a sharp understanding of the rewards – and frustrations – of lab-based research. Rhiannon has experience in a diverse range of technical areas, including genome engineering, many different types of diagnostic assays, PCR technology, vaccines and antibodies, natural product biotechnology, synthetic biology, biofuels, foodstuffs, assay consumables, orthopaedic implants, and at-sea rescue devices. One of the things she enjoys about her role is the opportunity work at the forefront of scientific knowledge. Rhiannon also enjoys working with different types of client, whether it be an inventor seeking to commercialise their idea directly, or a technology transfer team at a University, or a SME, or a multinational corporation. 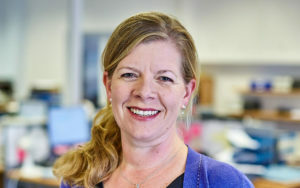 All clients have unique needs and Rhiannon enjoys becoming a “trusted advisor”, providing advice and creative thinking to best support the client’s commercial objectives. She is especially enthusiastic about the wealth of high-quality innovation carried out by Universities in the UK and elsewhere and has particular experience in working with University-based teams to support technology transfer activities. Over the last few years, Rhiannon has been leading our team, in close collaboration with colleagues, in support of a large client working in the field of CRISPR gene editing. We have been working with them to develop their own IP portfolio, as well as conducting regular reviews as to the quality of third party IP. Rhiannon is especially enjoying the opportunity to support our client in their involvement in developing this potentially world-changing technology. Rhiannon is a passionate believer in the merits of working with clients and colleagues in a transparent, ethical and considerate manner.